We offer a no obligation first meeting. We start by listening to you talk about your aspirations and lifestyle, and then discuss how Farnham Furnishers can help. Together we develop a design brief and formulate guidelines for the project. Farnham Furnishers then undertakes research to develop the concept, and produces an initial design. This process will normally take approximately 2-3 weeks from the initial meet and or survey. We will be able to give you a guide price based on the initial scheme. 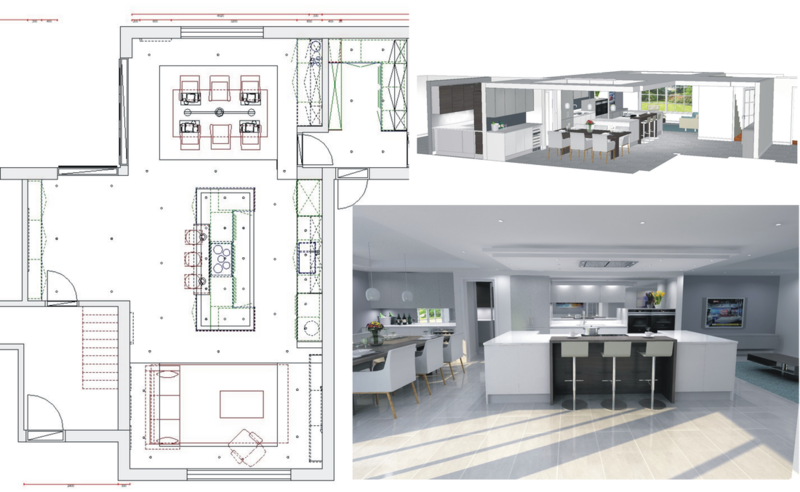 We will discuss the design with you and develop it further in light of your responses. We will continue to make refinements unit we settle on a design solution that you love and that is within your agreed budget. Once the design process is complete signed off and deposit paid. 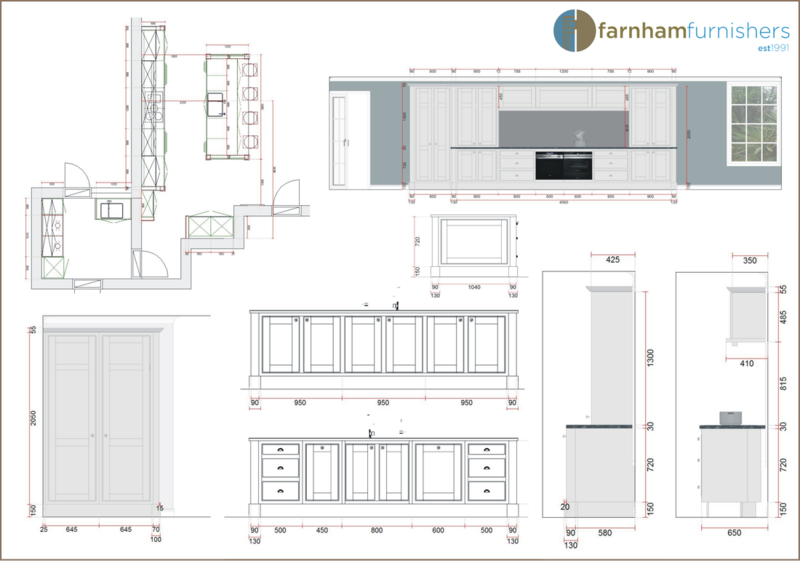 Farnham Furnishers undertakes the behind the scenes technical drawing work required to ensure that each element is manufactured correctly. As well as ordering and scheduling the delivery of all appliances. fixtures and fittings. Your furniture is manufactured by one of our specialist companies by skilled craftsmen and women. Using only the highest quality materials and tools. We take pride in every detail to produce outstanding and beautifully made furniture. 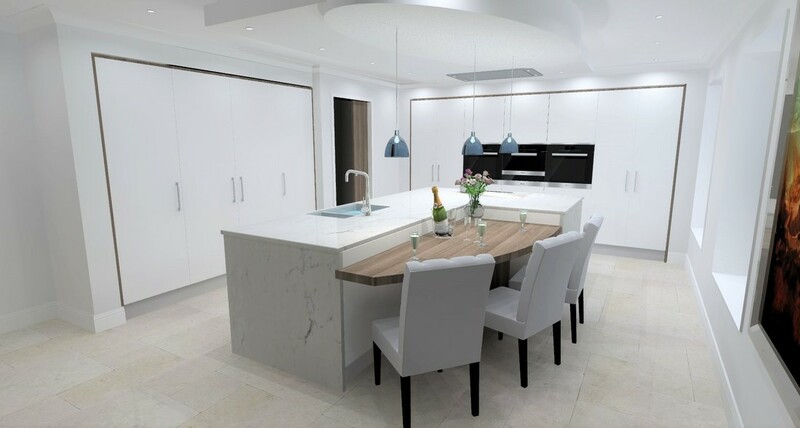 Each project is carefully and precisely installed by members of the Farnham Furnishers team. We plan the process to minimise disruption to you. We encourage you to tell us at any point if anything is troubling you. However small. We want you to have a positive experience and an outcome you are delighted with. In exchange we ask that you tell your friends and neighbors and work colleagues about Farnham Furnishers. We are very proud that nearly all of our work comes from recommendations by our happy clients.